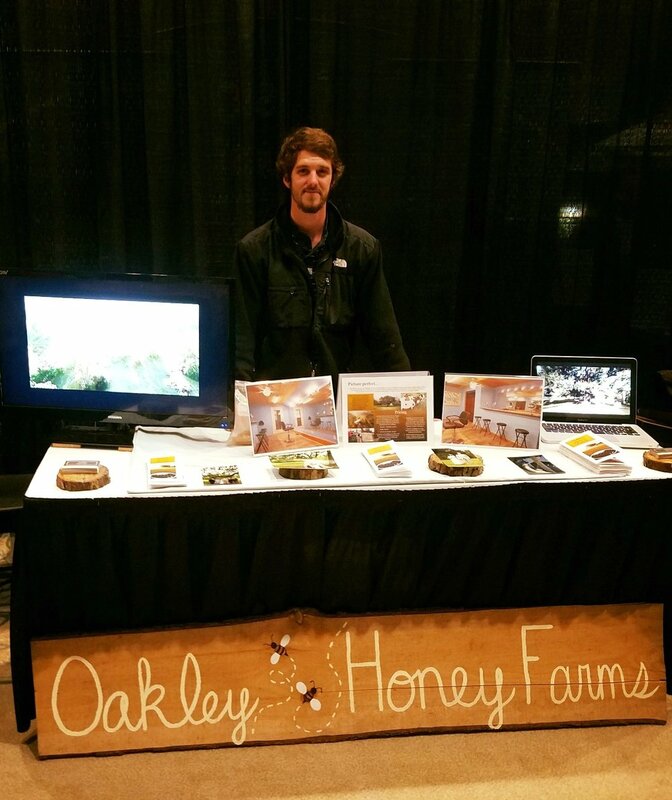 Today, we're headed to Moncks Corner, South Carolina to chat with Oakley Honey Farms' business manager, Jordan Fitzpatrick. Under his watch, the farm recently has begun offering event space rental, and now Jordan oversees everything from promotion of the venue at area bridal shows to notarizing marriages at the farm. This rustic venue truly brings a relaxed, Southern feel to any event since Oakley Honey Farms is a family-owned working farm with dwarf Nigerian goats and honey bees. While they won't make an appearance on your wedding day, the welcoming, casual, and family-centered farm atmosphere will make you feel right at home during your celebrations. Since I went to my first wedding at age 13, I realized that there is little else in this world that is just entirely saturated in good and positive and love and absolute bliss like that of a wedding day. There should never be anything bad about a wedding, and that's one of the very few things like that in life. Well, I guess this depends on what path you're choosing (venue, photographer, DJ, planner, etc), but as for a venue? Electricity--particularly in the form of lots of outlets! Between caterers preparing and heating food, bands setting up their equipment, photographers charging stuff, elaborate lighting systems, photo booths, and heaters/AC units, it is absolutely crucial to be able to put out lots of electricity. Amenities at Oakley Honey Farms include a newly built dance floor and a fire pit. I have lived in South Carolina for my entire life, I went to high school about 12 miles away from where our venue stands. Unequivocally, the best part about this place is the people. Southern charm and etiquette is a real thing here (at least until half of us are Ohioans). Have your car break down on the side of I-26 or over here off Highway 52 during the day, and you'll be able to count the number of minutes before someone stops to ask if you're okay on both hands. The Queen Room at the farm is perfect for groups to prep for their event. Our first wedding was one of my best friend's weddings. Being able to provide a significant role in his wedding was one of the proudest moments of my adult life.